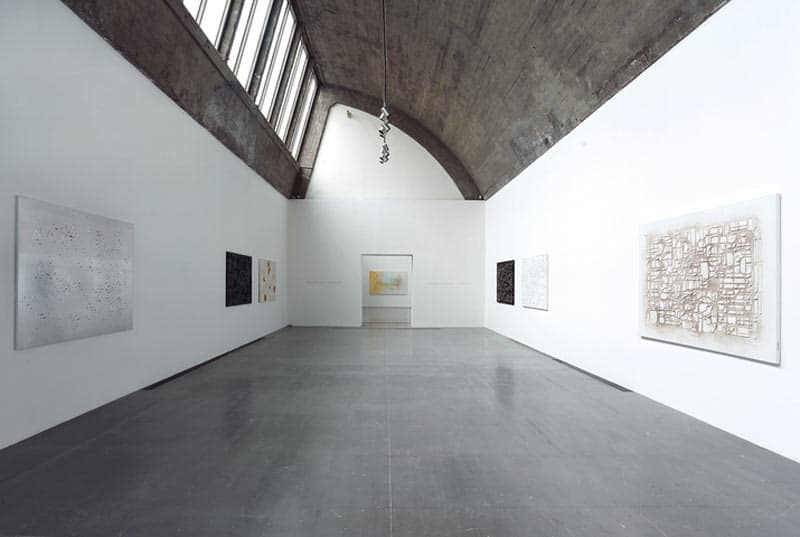 Hong Hao’s second solo exhibition at Pace Beijing, Hong Hao: Border, will open at 4pm on May 17. The exhibition will present his recent works, including the latest series Edged and Everchanging Appearance, revealing the thread of spontaneous growth in the artist’s work. Since first establishing himself thirty years ago with the Selected Scriptures series, Hong Hao has coolly observed contemporary society through keen artistic intuition and just the right amount of distance. As an important figure in the development of Chinese contemporary art, Hong Hao’s artistic explorations have been closely connected to the shifting value systems of the times, and the question of how to recognize and express in synchronicity with a changing society has been a major focus of the artist’s practice. Whether it is exploring the affirmation of local cultural values in the midst of globalization from his early works (New World Map, Invitation Letter), or his archival research of consumer culture since 2001 (My Things, Back of Paper), the artist’s various practices all reflect a powerful yearning to intervene in society, concealed beneath a cold, restrained aesthetic, which has grown over the past thirty years of creative exploration to construct an integrated visual and conceptual artistic practice. The visual source for this exhibition can be traced back to the contemporary social visual archive the artist has been building since 2001 with his My Things series: every day for twelve years, the artist made a record of the everyday objects around him, scanning and categorizing them indiscriminately, and through this process of abstraction, decoupling the objects from the system of value attached to them. After this, the artist carried out multiple steps of further decoupling, causing the still vaguely recognizable outlines of the objects to disappear beneath the surface of the paintings, leaving only abstract edges and shapes. As this massive visual archive of consumer society progressed over a decade, it was transformed into a creative vocabulary unique to the artist. The social relationships between objects have been replaced by spatial and aesthetic relationships, as the objects have come together into abstract paintings, forming their own identity within the system of the artwork. Hong Hao (b. 1965, Beijing, China) graduated from the Printmaking Department of the Central Academy of Fine Arts, Beijing in 1989. The artist currently lives and works in Beijing. His works have been frequently featured in important exhibitions at home and abroad since the 1990s, and have been widely collected by major art museums and art institutions all over the world, such as The Museum of Modern Art, New York; The Metropolitan Museum of Art, New York; Museum of Fine Arts, Boston; J. Paul Getty Museum, Los Angeles; The British Museum, London; The Victoria and Albert Museum, London; The National Gallery of Canada, Ottawa; The Fukuoka Asian Art Museum, Fukuoka. Hong Hao (b. 1965, Beijing, China) graduated from the Printmaking Department of the Central Academy of Fine Arts, Beijing in 1989. The artist currently lives and works in Beijing. Much of Hong Hao’s work features assembled scanned images of various found objects including maps, books, tickets, receipts, banknotes, food, and containers. In his 2009 solo exhibition “Hong Hao: Bottom” at Beijing Commune, the artist exhibited a series that features the bottom half of everyday objects. By arranging the scanned images according to their forms and colors, he destructs the functional property of the materials and reproduces an undifferentiated, flattened, deliberately superficial world of aesthetics. While Hong Hao continues to work with found objects, ”AS IT IS,” his recent solo exhibition at Beijing Commune, deals with the physical forms in a more straightforward manner, creating an interesting dialectic development of both the vocabulary and concept of his art.